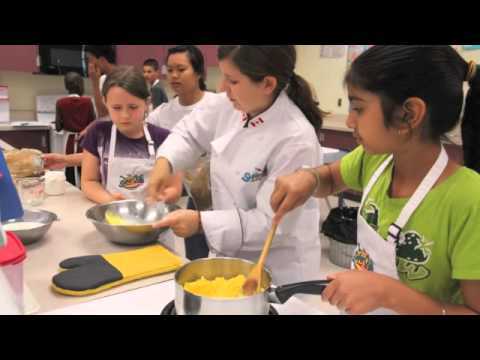 The SuperChefs Cookery for Kids team come to Senator Reid Elementary for a summer camp experience not to be forgotten. Executive Chef Victor Bongo with Alexandra, Lauren, Claire, Austin, Ryan and Dr. Greg have a great time with the kids at Johnson Heights Secondary, Maan Farms and Kinsmen Lodge in Surrey. 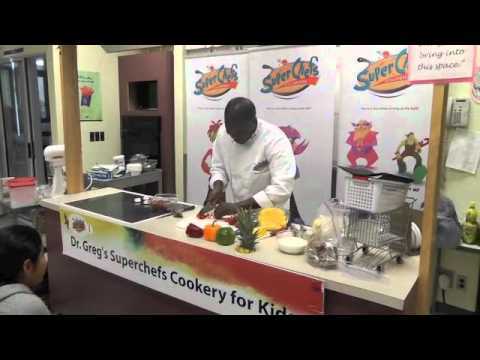 Dr. Greg's SuperChefs Cookery comes to Kirkbride Elementary School in Surrey. 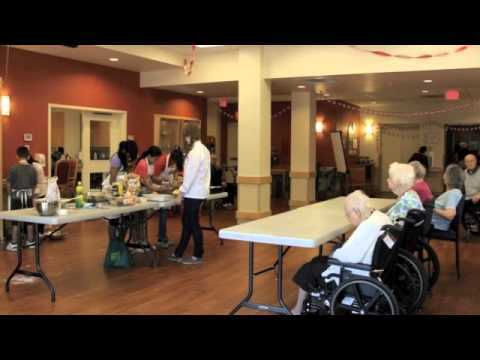 This week the kids were entertained by juggling fruit lessons, flipping crepes and a pizza party at Kinsmen Lodge. SuperChefs of the Universe and Superchefs Cookery for Kids make an appearance at Surrey's Fusion Festival, July 21 & 22 at Holland Park. The Festival was attended by over 100,000 people, making it Canada's most successful multi-cultural event. The SuperChefs of the Universe Live Circus Show and the SuperChefs Counsellor band performed on the Coast Capital Celebration Stage, while the SuperChefs Cookery for Kids performed live cooking demonstrations at the Safeway Celebrity Cooking Stage.-great fun for all! The SuperChefs Cookery heads to Surrey School District for Summer 2012 Cooking and Basketball program where the children from 7 Elementary Schools in North Surrey participate in cooking at Johnson Heights Secondary and Kinsmen Lodge for Elders in the morning, then are coached by Basketball BC's Nationally Certified Youth Coaches in the afternoon, and also get to visit a farm in Abbotsford on one of the days. The first stop is Bridgeview Elementary School, where they kicked off the summer in fine fashion with the SuperChefs team! Join the SuperChefs Cookery for Kids at Eat!Vancouver- the largest culinary and food event in Canada with over 40,000 foodies in attendance. This Cookery will feature the SuperChefs Live Circus show and demonstration and interactive cooking sessions featuring dishes such as yogurt parfaits, smoothies and frozen yogurt pops! Dr.Greg and some SuperChefs Kids join Steve Darling on Global TV's morning news to demonstrate some cooking in preparation for the Eat!Vancouver Cooking and Culinary Festival June 1-3 at BC Place Stadium. 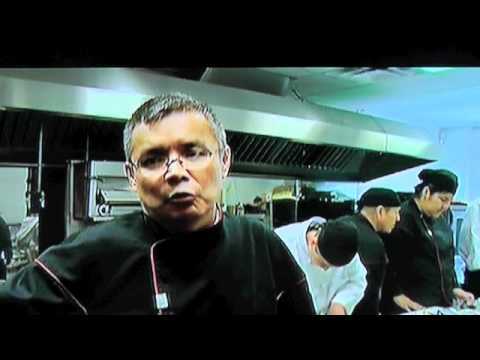 Chef Andrew George leads a group of cuiinary students from Tsleil-Waututh Nation as they help SuperChefs Cookery for Kids get ready for Eat!Vancouver, one of the largest culinary and food shows in Canada. 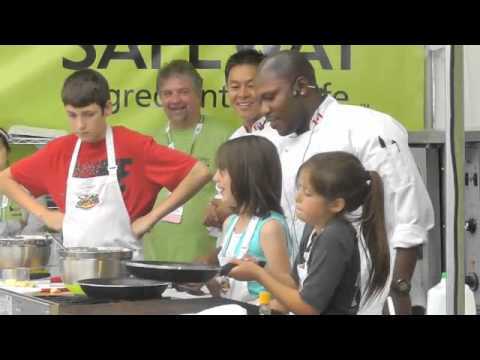 Superchefs will be presenting 8 shows at the Fit to Eat Stage and is involved in the fight against childhood obesity.